Asia Pacific Data Center Cooling Market will grow at 14% CAGR up to 2024, from around a value of $2 bn in 2017. 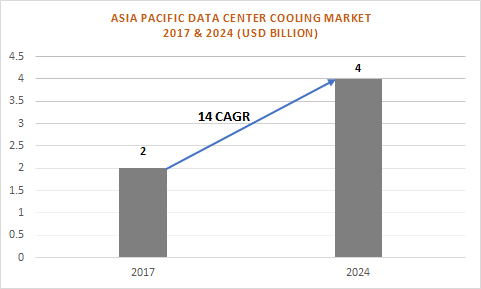 The Asia Pacific data center cooling market is majorly driven by the increasing requirements for the energy-efficient improvements in the IT facilities for improving the lifespan of the devices. These issues have led organizations to acknowledge that IT facility costs are a part of their business budget. Data center cooling is the major target of the companies for energy-efficiency improvements. These solutions help in bringing down the costs associated with the energy consumption of the electrical devices. The cooling systems maximizes energy efficiency and reduces the environmental impact. The liquid cooling system is predicted to witness a high demand over the coming years owing to the transition from the air-based cooling system to more efficient alternatives. The water or coolant-based cooling allows operators to cool specific components of the facilities to a greater degree as compared to fan-based coolers. Several technological advancements and innovations in the Asia Pacific data center cooling market are driving the adoption of liquid cooling systems. These include immersion cooling, which is developed to replace the water-cooling system due to the limitations of the system in cooling the non-sealed hard disk drives. The rack-based coolers are witnessing a high adoption in the Asia Pacific data center cooling market due to the increased uniformity in the distribution of cold air inside the infrastructure facilities. The room-based systems provide cooling capacity on the bottom level of the rack, whereas rack-based systems are perfect for distributing the supply of coolant to all the levels of server racks. It involves modular technologies that can be easily installed or removed based on the cooling requirement. It also allows operators to install additional racks and cooling units later. Such advantages are accelerating the demand in the Asia Pacific data center cooling market. The IT & telecom is the flourishing sector in the region and is expected to witness a high demand for the effective cooling technologies in the Asia Pacific data center cooling market. The telecommunication industry in several countries including India and China is growing at a rapid pace due to the high penetration of smartphones. The massive volume of data generated by the telecom industry is driving the demand for effective data storage facilities and solutions to manage such facilities. Such factors are compelling the adoption of effective cooling solutions thereby driving the Asia Pacific data center cooling market. Prominent players in the Asia Pacific data center cooling market comprise Rittal GmbH & Co. KG, Black Box Corporation, AIRSYS Refrigeration Engineering Technology Co., Ltd, Schneider Electric SE, Alfa Laval Corporation, Nortek Air Solutions, LLC, Allied Control Ltd., AdaptivCOOL, and Airedale International Air Conditioning, among others. 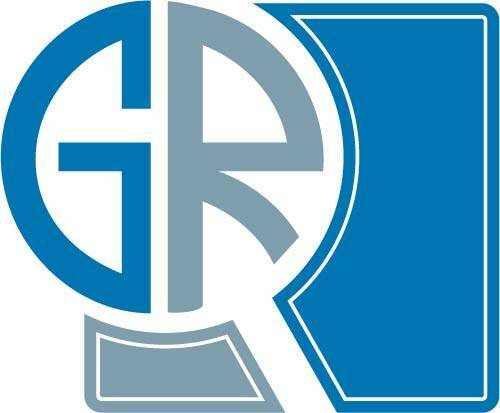 These companies are offering their advanced cooling solutions and services to several industrial segments. For instance, data center smart assistance integrated with AI technology saves additional costs by predicting the cooling capacity required for a specific device.